​all should definitely check out! ​All WJR Club members will receive a $3 registration discount. If you will be completing a paper form, simply write that you are a WJR Club member on the form. If you complete the registration online, your $3 discount will be reimbursed. Click the link or image above to sign up. ​WJR Club would like for you to join us for the Riding Through The Flames Of Freedom race. 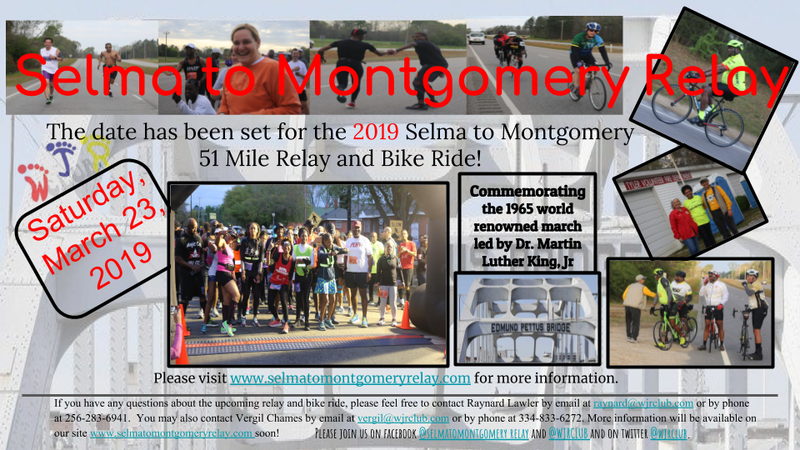 This race will commemorate the Freedom Riders. This race is for all walkers, runners, and cyclists. You can choose to do 5.25 miles, 9.3 miles, or 18 miles. There will be a march immediately following the race. Click the image or link above to register. 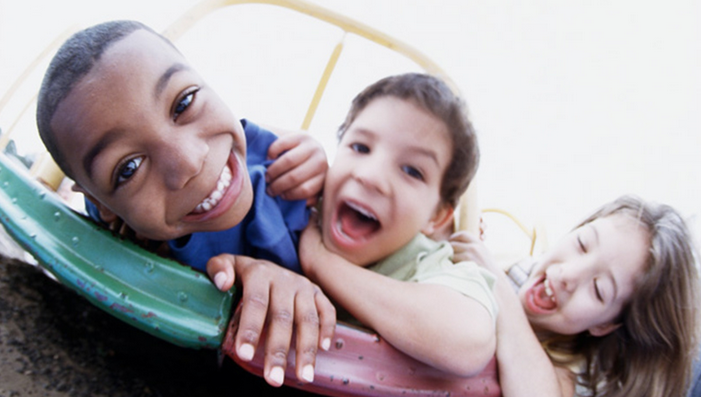 ​Please make plans to participate in the Lions Run for Sight, 8k on Saturday, May 12th. This run benefits Alabama Lions Sight Conservation, Anniston Lions Local Sight Fund, and Camp Seale Harris – a diabetic youth camp. Click on the image or the link above to register. ​Mark your calendars for the famous Woodstock race. This race will take place on Saturday, August 4th. Click the image or link above to register. ​Please make plans to support The Race. This is an exciting event presented by The Unity Collective. Enjoy a half marathon weekend event that supports black owned businesses, neighborhoods, and charities taking place in Atlanta, GA | October 12-14, 2018. Click on the image or link above to register. WJR Club would like to send a "Shout Out" to everyone who came out and supported the Lions Run. 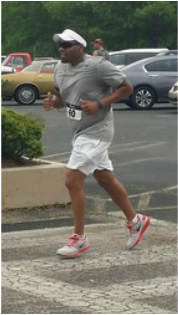 This was the first 8k run. 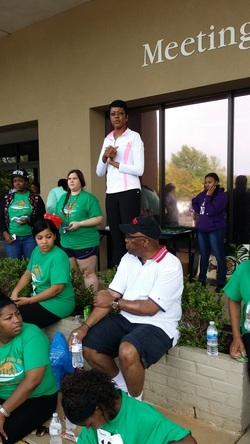 WJR Club would like to send a special "Shout Out" to the Anniston Alumnae Chapter of Delta Sigma Theta, Inc. for a great job on the 1st Annual Walk Run Diva 5k and Health Fair! 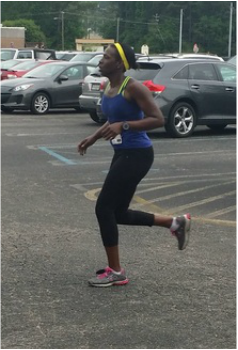 WJR Club would like to send a special "Shout Out" to Cotina Houston for doing an awesome job in organizing the 2nd Annual Run For Funds 5k. 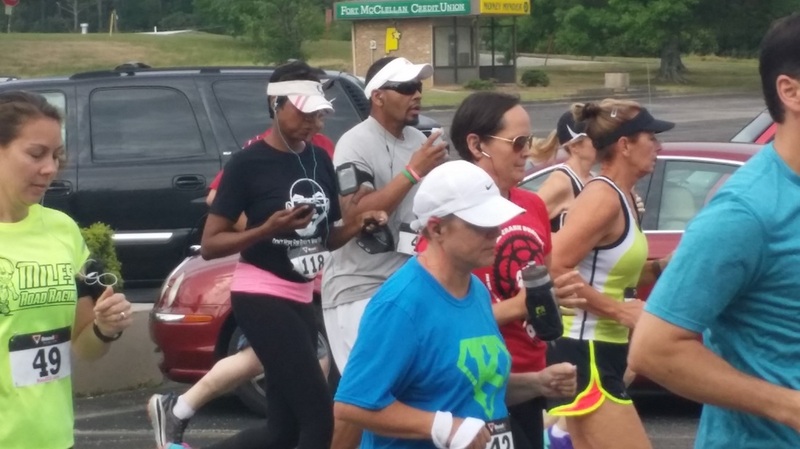 The run helped to raise money for children and youth in the Calhoun County area. 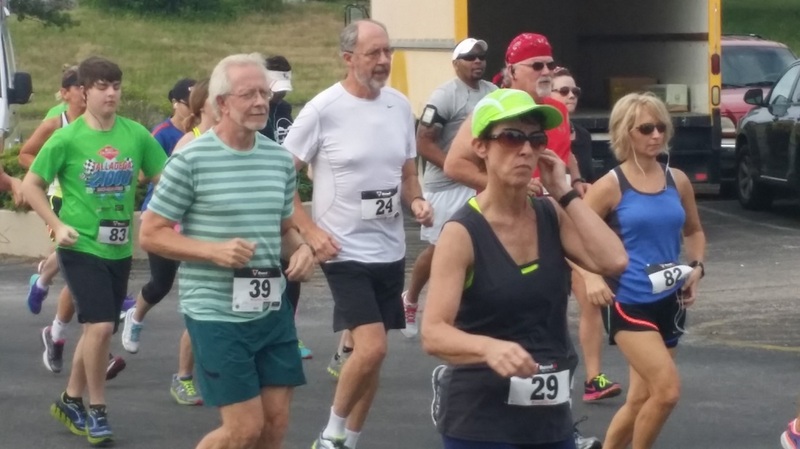 WJR Club would like to send a big "Shout Out" to everyone who participated in the Run For Funds 5k on Saturday, April 25th, at Fort McClellan. Several people placed first, second, or third in their age groups! 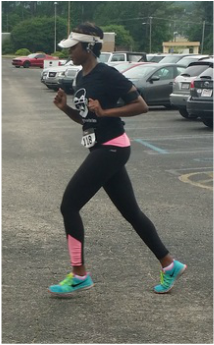 WJR Club would like to send a big "Shout Out" to Ms. Minnie Moore on winning first place in her age group in the Making Tracks 5k at the Anniston Army Depot on April 5th. Great Job!! WJR Club would like to send a "Shout Out" to everyone who participated in the 800 Mile and More Challenge for 2014. Below are the members who met one of the challenge requirements. Hello WJR Club! There are several upcoming runs that we would like for you to support. Each run is for a really good cause. 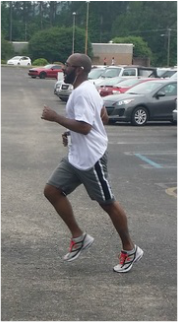 Family Links will be hosting its 2nd Annual Run For FUNds 5k on Saturday, April 25th. This is a great run that benefits children and families in Calhoun County. For more information, or if you would like to register, please click the link below. The Anniston Alumnae Chapter of Delta Sigma Theta, Inc. will be hosting its first annual Walk-Run-Diva 5k and Health Fair. This will be a great opportunity for you to come and get free information on mental and physical health issues. This run will provide scholarships for local teens. For more information or to register, please click the link below. You may also download the registration form below. 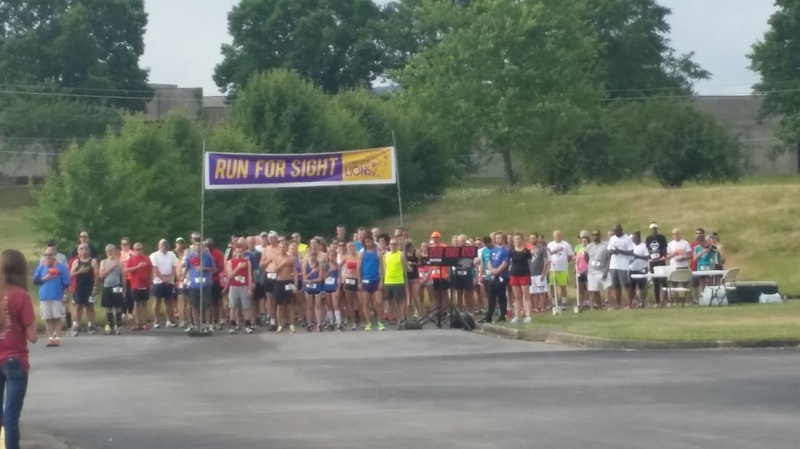 The Anniston Lions Club presents the Lions Run For Sight. This year the run will be a challenging 8k course through beautiful McClellan. This run will benefit Anniston Lions Local Sight Fund, Alabama Lions Sight Conservation and Camp Seale Harris-a diabetic youth camp at Camp ASCA. For more information or to register, please click on the link below. Check out our Blog for more posts and comments. Walk Jog Run: Exercising Is Fun!